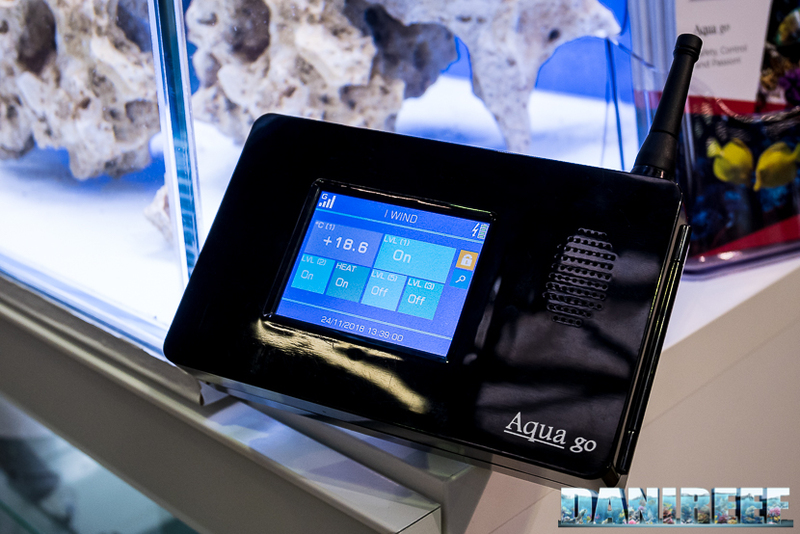 Aqua Go was the biggest innovation shown at Pet Expo & Show at Bologna, and possibly one of the biggest innovations of the year in our field. Yes, you read the title right. 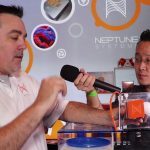 We are talking about a complete aquarium computer for only 300 euros ($340 USD). 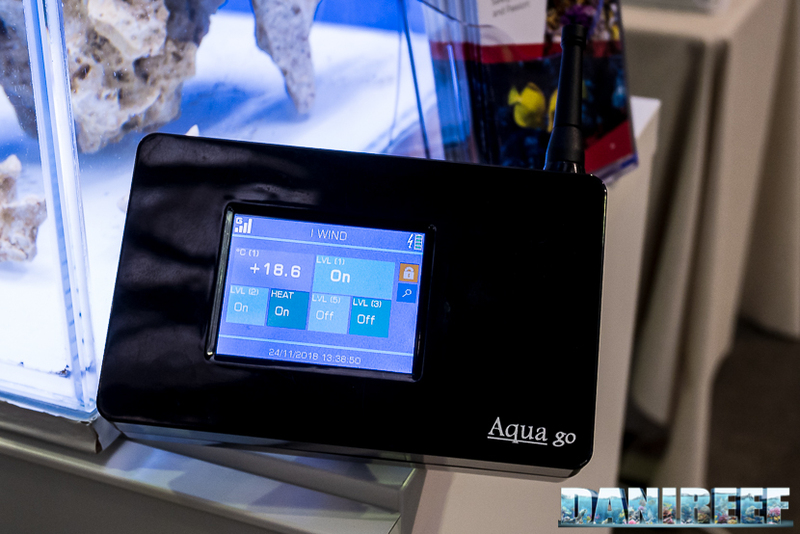 Aqua Go is a system that, similar to the famous Aquatronica, brings control and automation to our tank. In addition to the basic kit, a GSM link is provided, which can send us messages and alarms if there is trouble with the tank. 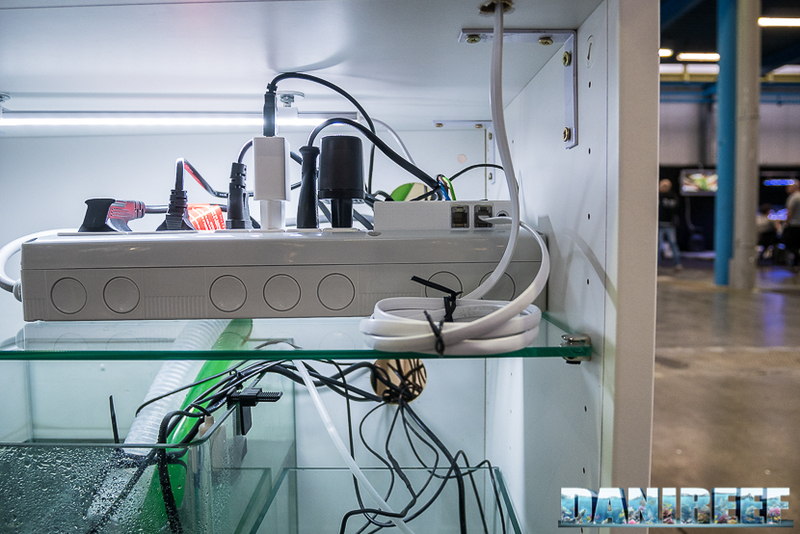 The construction of the system makes it suitable both for marine and freshwater aquariums. 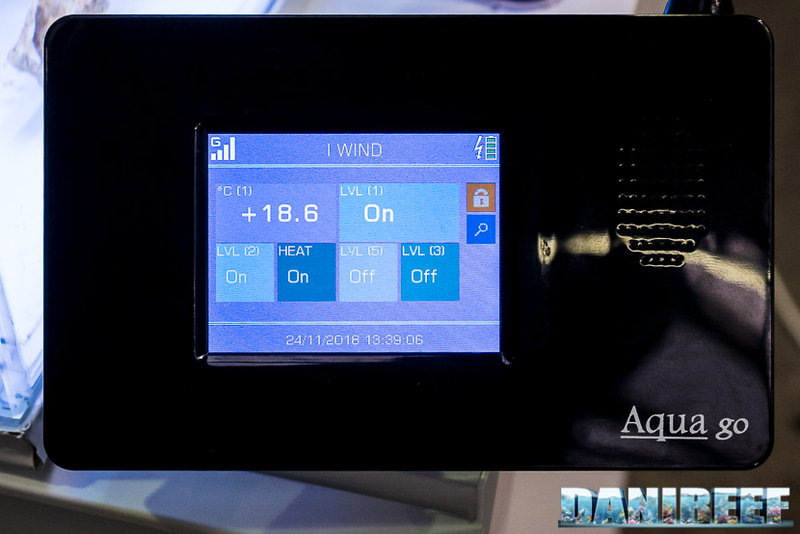 In its basic construction, Aqua Go consists of a control unit with a built-in display and a power unit that includes 6 electrical sockets and a sensor inlet. 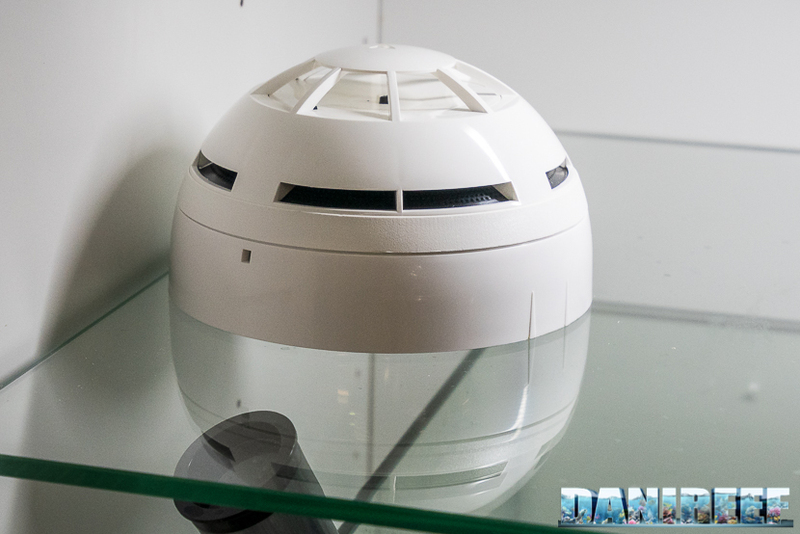 There are two different temperature sensors, one outside and one inside the display, as well as a magnetic level sensor. 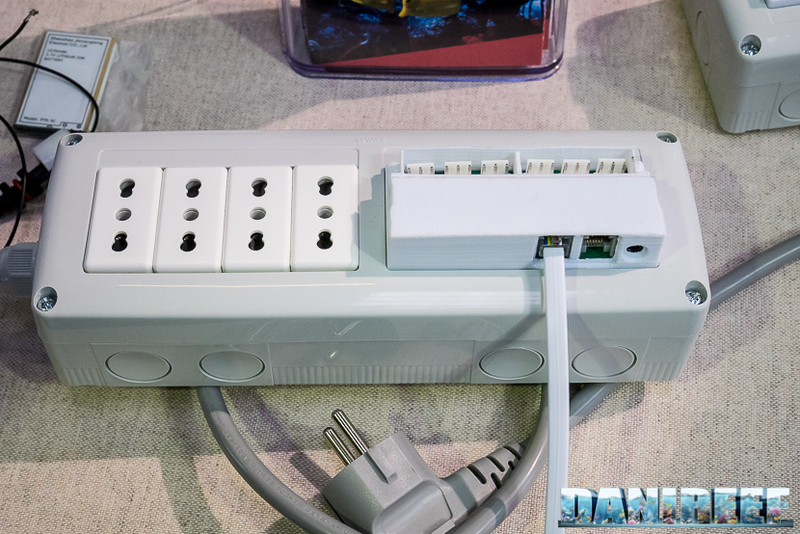 Pictured above is the power socket with the 6 electrical sockets and the white portion that manages the sensors, and below is the other side of the unit and 2 rj45 plugs to connect the power unit. Thanks to the special data bus, the power unit can be placed very far away from the control unit. The other side of the power unit. Aqua Go only comes with the GSM connection, and not the Wifi one that is optional. The GSM is much safer than Wifi for the alarms; it is very unlikely that you can miss a GSM connection, as opposed to the Wifi. 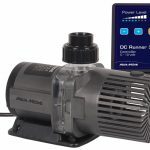 The system can even control a UPS, which means that it can warn us if we run out of UPS power. 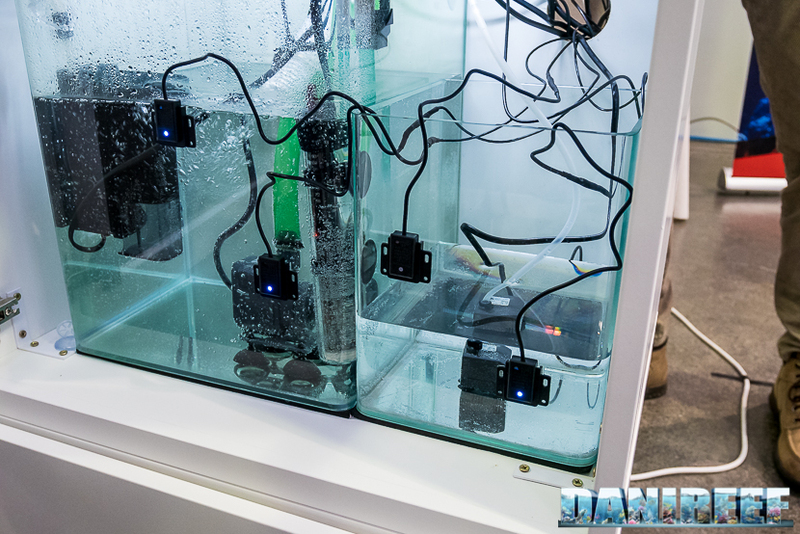 All of the Aqua Go sensors are magnetic and external to the tank, in the previous picture we can see all the external level sensors. It’s a great way to avoid blockages due to snails or other things. 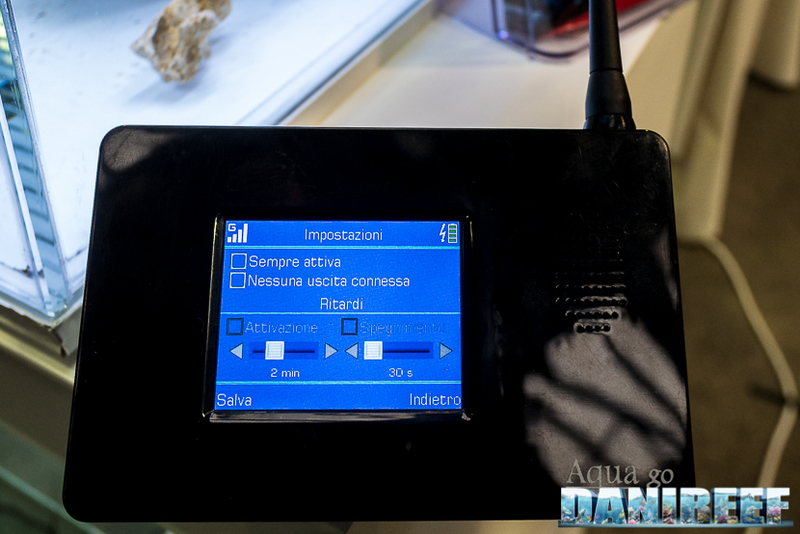 Aqua Go can be provided with a fire detection system, as you can see above, even if in the picture it is shown upside-down. This detail to explains its very reasonable price. This system evolved from the DS100 system, which belongs to the industrial automation and safety world. 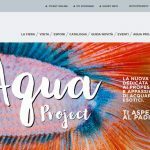 This fact allowed the company to avoid a lot of the development costs, and at the same time provides the system with 24 hours a day assistance. 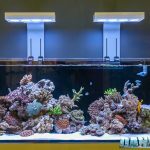 The system can control temperature, both in the tank and in the room, humidity, two pH sensors, Redox, Salinity, and TDS. 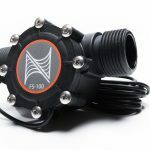 In addition, it can have anti-flooding sensors, level sensors, can control solenoid valves, and so on. All of this can be used both in-person and remotely through the GSM connection. I really like this system. And I think it’s a great purchase at this price. We are in touch with its producer, 3lements, who will keep us informed about its evolution, and soon give us a complete system for testing. 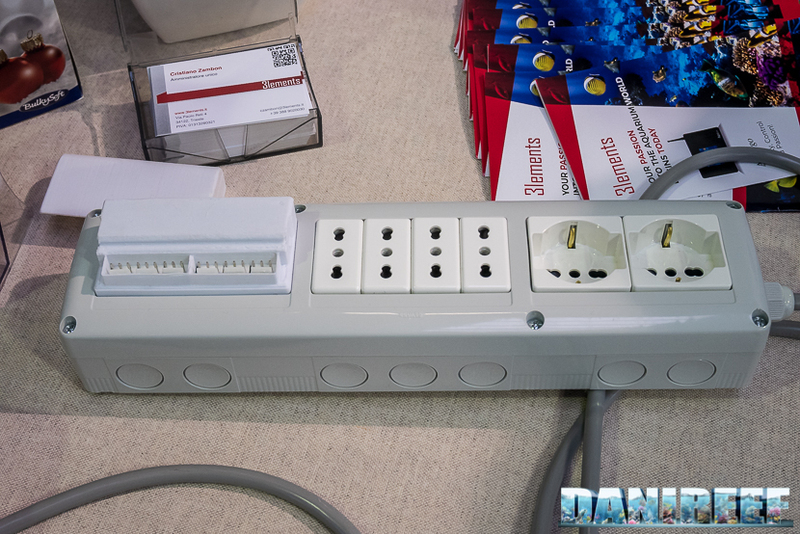 The system is available in black, like in the picture, and white.